Tim Duckett, the mad scientist inventor of Heartwood Whisky, puts out new releases as regularly as Ed Sheeran clocks up number 1 singles. But the latest new release, Calm Before the Storm, has created more interest than usual. Why? 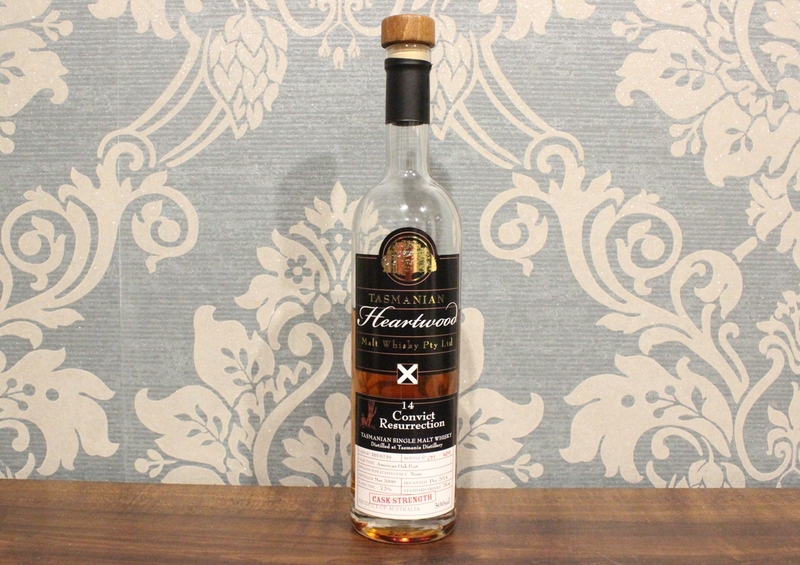 Because it was labelled by its creator as Heartwood’s ‘most complete whisky’. Rumour has it he’s also described it as his best. That’s a big call from the man who made the Convict series, the Any Ports in a Storm and the Vat Out of Hell. It made me wonder, after so many amazing envelope pushing releases, is there any room left to raise the bar? On the nose it has that full dark warm Heartwood aroma. There is caramel, fruit and like an Arrow hit-song from the 90s, it’s hot hot hot. The palate arrives in two stages: a strong hit of flavour before being overtaken by a wave of warming alcohol spiciness. You’ve got to be quick to pick the flavours before the wave breaks: raspberry jam, brown sugar, sultanas before it kicks you in the throat… with size 12 boots. WHAM! CRASH! ZING! POW! It’s like a Roger Ramjet fight scene! The finish is, as you’d expect, long and warm with sweet orange notes. Like I said, I was unsure if Heartwood could raise the bar. But it seems there are depths of flavour as yet unexplored, like a whisky Marianas Trench. I don’t think it’s my absolute favourite Heartwood – there are a couple of Convicts that still hold that mantle for me – but I could not argue with him if Tim were to officially describe it as his best. In Scotland, independent bottling of whisky is commonplace. Companies such as Gordon & MacPhail, Berry Brothers & Rudd, Flora & Fauna – basically anything with an ‘&’ in it – run successful businesses and produce some fine drams. In Tassie, well, it’s a little rarer. While Trappers Hut and Tasmanian Independent Bottlers are coming along nicely, there’s one name leading the way: Heartwood. Heartwood was created by Tasmania’s own mad scientist of whisky, Tim Duckett, whom I imagine spends his days bent over a steaming cauldron of luminous Tasmanian whisky, stirring it with a wooden oar and chanting “double double toil and trouble”. If you’ve ever come across a bottle of Heartwood, you’ll attest that it was unquestionably a memorable drop. There’s certainly a lot to remember, from the wonderful designs on the labels to the distinctive names: ‘Vat Out of Hell’, ‘Release the beast’ and ‘Any Port in a Storm’ to name a few. However, the most memorable aspect of any Heartwood bottling – by far – is the strength. The ABV of all releases ranges from percentages in the mid 60s to percentages in the mid 70s. That’s right – mid 70s!!! The bottle I decided to purchase sits at an eye watering 72% and is called the ‘Convict Resurrection’, part of a series of convict-inspired bottlings referring to Tasmania’s original function as a penal colony. The whisky comes from Sullivans Cove barrel HH0239, which was an American oak ex-port cask. And boy, is it something. Every aspect of this whisky is massive. The nose hits you like a boxing glove wielded by Sugar Ray Leonard, teeming with creamy fruit flavours like plum jam spread on rich brie. As is to be expected, the palate also packs a punch – taking a sip is like wrestling a crocodile – and yet there are so many flavours to be found: raisins, nutmeg, pinecones and blackberries – perhaps with the thorns still attached! The finish is the most surprising element of the whole dram as it is incredibly smooth. It seems to evaporate at the back of your throat, leaving the most glorious lingering warmth with notes of jam and honey. 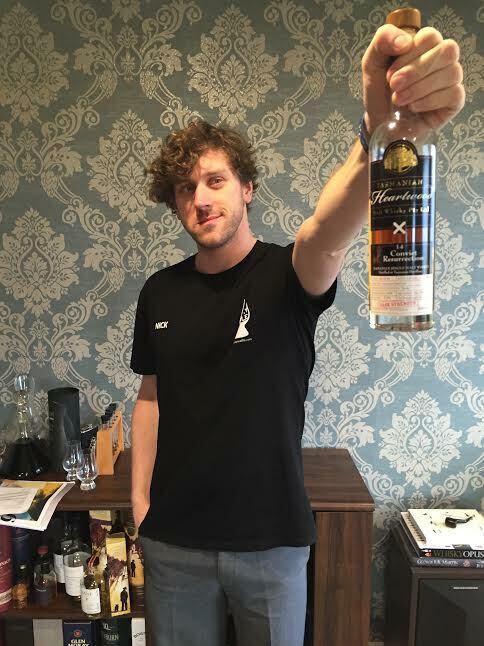 If you ever see a nip of Heartwood available anywhere – don’t think – just buy it. Sure, it’ll be pricey, but only 200 or so of each bottle is made and once they’re gone, they’re actually gone. Heartwood fans don’t buy the stuff to leave it sitting on a shelf. Seriously, try it if you can. I promise it will be memorable – in the best possible way.